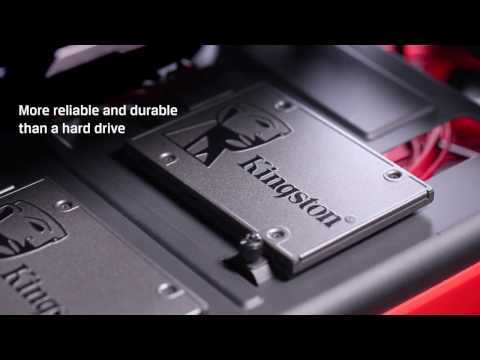 120GB Kingston A400, 2.5" SSD, SATA III - 6Gb/s, 2Ch, TLC, 500MB/s Read, 320MB/s Write, Retail is rated 5.0 out of 5 by 3. Rated 5 out of 5 by Nerderello from Fast boot and app launch service from Scan was great. The SSD now holds my (Linux) root directory. although I've kept a separate hard disk for home, logs, and the Swap partition (to help the SSD life span). The boot used to be 55secs, and is now 10sec. Great.